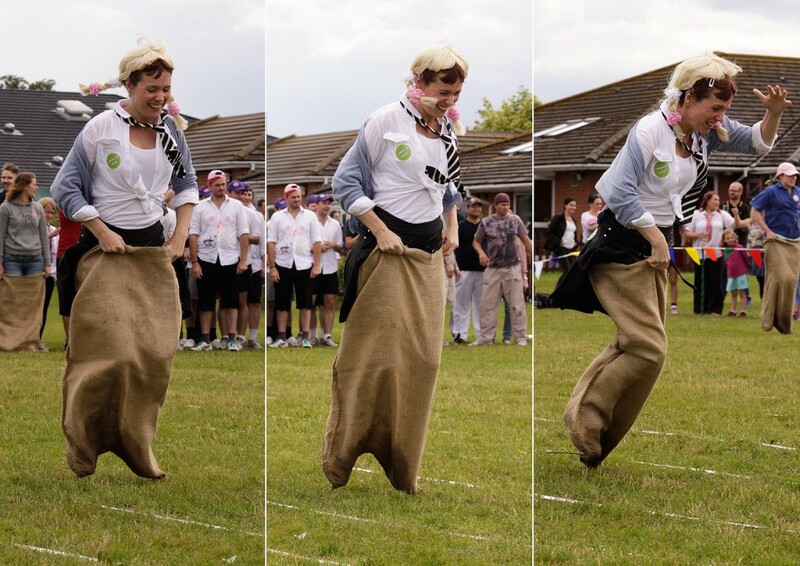 When a new client in the pharmaceutical industry approached us asking if we could help stage a company school sports day, we leapt at the chance to help - it's one of our favourite events! 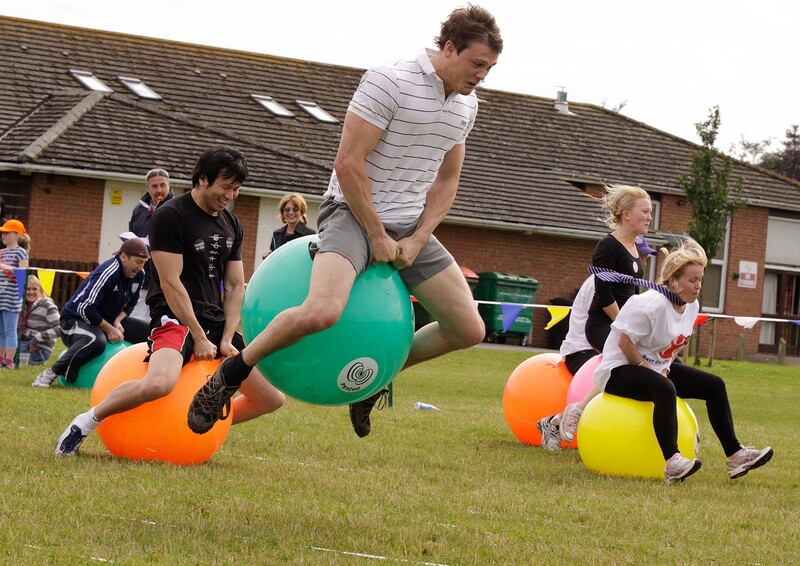 This was slightly different from the usual team building sports days that we host because this event was going to be a charity fundraiser, there would be lots of different companies taking part so it had to be professional, it had to be quality and it had to be a lot of fun! We knew that we could deliver this effortlessly, all our School Sports Day events are professional, quality and fun so this was going to be a great event! With over 100 people gathered all in school uniform, the school bell was rang to the sound of the Grange Hill theme tune and the fully costumed Headmaster and his team of teachers called all the teams onto the sports field to start! After a quick warm up to make sure everyone was ready for the physical activity ahead, a whole host of fun traditional sports day games were played, the egg and spoon race, sack race, skipping race, football slalom, javelin and many, many other fun team focused games.Everybody had a fantastic time as the sports day progressed the competition increased and it was absolutely brilliant to hear the teams screaming encouragement for their team mates as they bounced on the space hoppers or dribbled their hockey balls! Each team put their all into the last activity of the day which was the tug of war and then it was time to sit down, rest and have a refreshing drink while the scores were marked up and the winning team was announced!Our client was delighted with the whole event and there were huge beaming smiles from everyone there and a LOT of laughter. 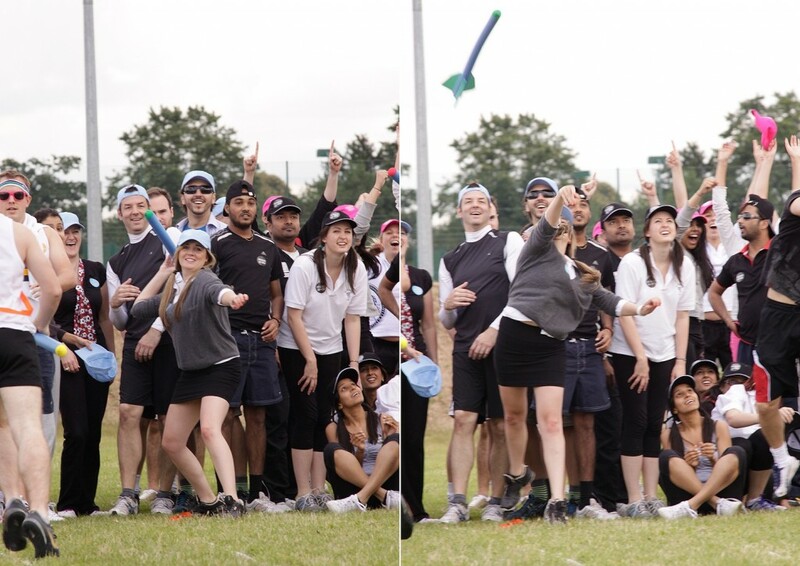 After the event our client said:'It was a truly fabulous day and everyone had lots of fun! Really great feedback internally' another wonderfully successful event and one that helped raise money for charity! If you'd like to find out more about how you can host your very own Company School Sports Day then why not give our events team a call, they're experienced, friendly and hugely enthusiastic and can help you with all aspects of the event. Call them on 0800 083 1172 today.